Home / Medals and awards / Engineer NCO school badge 48. 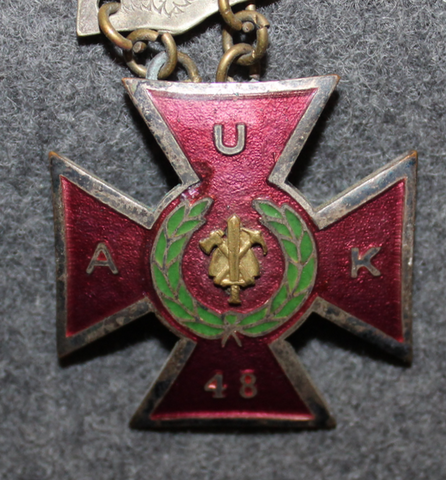 Original Finnish Army graduation badge, manufacturer: P.Koski, this has original pocket watch fob attached with piece of cloth. Stamps / manufacturer: P. Koski. Commemorative Medal of Finnish liberation war 1918. Commemorative Medal of Finnish liberation war 1918. + document. Finnish home guard, cockade: Satakunta district.